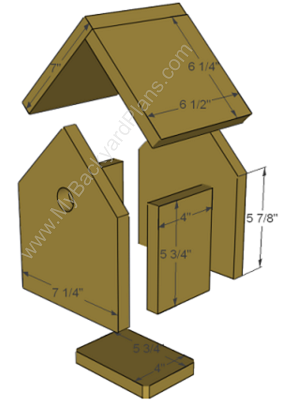 Roof 7" x 6-1/2" and a 6-1/2" x 6-1/4"
There are two pieces for the roof. 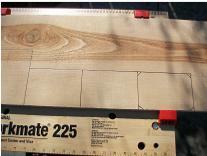 Measure and cut a 7" x 6-1/2" and a 6-1/2" x 6-1/4"
The two sides and the floor are all the same size 5-3/4" x 4" The floor has 45° cuts in each corner for ventilation. 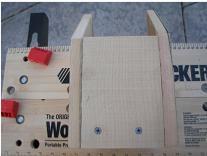 I cut the pieces of the birdhouse with a jig-saw. 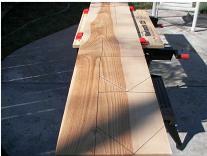 I used a straight edge ruler as a guide to get a straight cut. 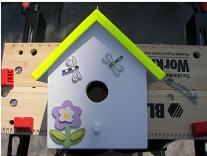 Cut the birdhouse pieces and assemble using 1-1/4 inch finishing nails. 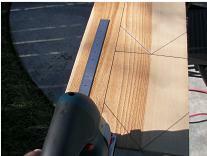 Use a spade bit to drill the entrance hole. 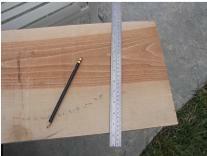 The location and the size of the entrance hole will depend on the type of bird you are trying to attract. 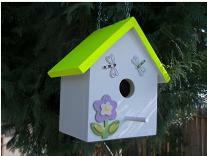 Start with the front or back birdhouse pieces, and attach the sides. 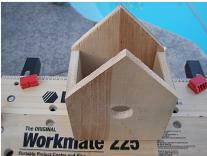 The floor will be about half an inch up from the bottom of the birdhouse. 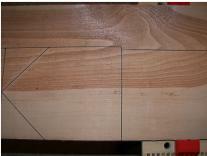 Pre drill some holes on the sides and to the floor. 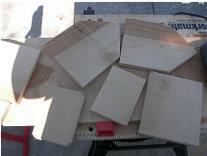 Now screw in some 1-5/8 inch deck screws. 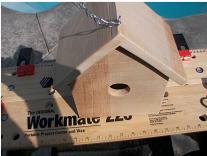 To clean out the birdhouse just unscrew the floor. 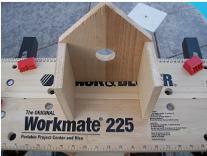 Attach the roof with 1-1/4 inch finishing nails. 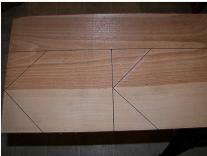 Start by nailing the short piece, then the larger piece. 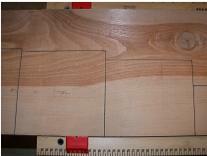 The larger piece will overlap the smaller piece. 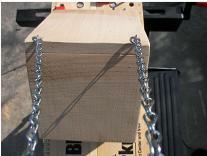 I screwed in eye screws in the roof and added a chain. I also added a perch this is optional. 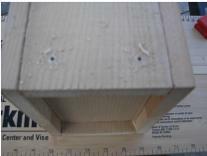 To add a perch, cut a 3 inch piece of dowel 3/8 inch in diameter, drill a 3/8 inch hole, add glue to the hole and attach dowel. 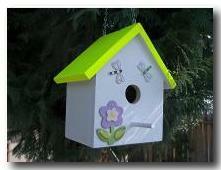 I painted and added decorations to the birdhouse, this is optional.